Type 2 diabetes has become a full-blown epidemic in the United States. Approximately 9.3 percent of the population—29.1 million people—are estimated to have diabetes. This is particularly concerning for Type 2 diabetes, which is mostly preventable. The good news, though, is that you can reverse many of the symptoms, and sometimes eliminate the disease entirely. 8 Weeks to Wellness can help you take control and get your life back. Like Type 1 diabetes, there are genetic factors that influence whether you may develop Type 2 diabetes. The difference? Lifestyle factors play a much bigger role in development of Type 2 diabetes. You are much more likely to develop it if you are overweight, with diet and exercise playing critical roles in fending off the disease. Over time, the body under these conditions develops a resistance to the insulin it naturally produces, resulting in higher blood sugar levels, an increasing inability of the body to break down and distribute sugar as energy to different areas of the body, and a higher susceptibility to a multitude of health problems. 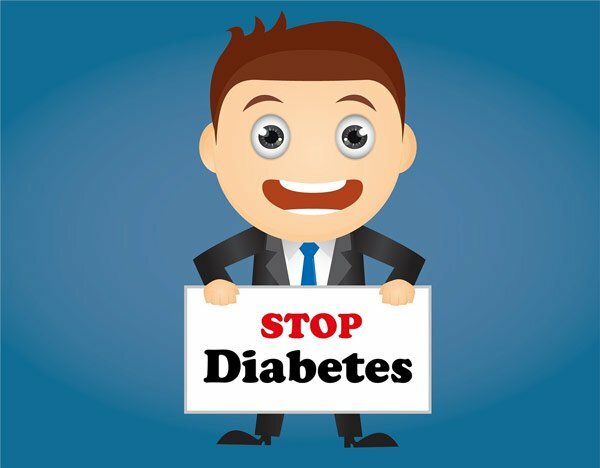 Fortunately, you can take steps to reverse the symptoms of Type 2 diabetes. If you are overweight, the time to take action is now. With a responsible exercise routine and sensible changes to your diet, you can not only lose weight, but prevent development of Type 2 diabetes. And if you have developed it, you can slow the symptoms and in some cases actually reverse the disease before it has a chance to fully take hold. This will not be easy, but you can do it. The 8 Weeks to Wellness program can help you take control of your health and kick this insidious disease to the curb. Take action now to reclaim your health. Call Dr. Jason Nutche at Rittenhouse Square Chiropractic at (215) 546-1010 to set up an appointment.